Can new crop compete with all-time top 5 Premier League keepers? Betting News > Football > Premier League > Can new crop compete with Premier League’s top 5 keepers? Can new crop compete with Premier League’s top 5 keepers? Thanks to the World Cup goalkeepers, so often the unsung heroes of the game, are all the rage once again. Hugo Lloris and Manuel Neuer have emerged as top notch sweeper keepers, David Ospina and Guillermo Ochoa have sent their valuations into orbit, while the two Tims – Howard and Krul – hit the headlines with their record-breaking and shootout stops respectively. But can the new crop of Premier League stoppers – the likes of Chelsea’s Thibaut Courtois, Manchester United’s David de Gea and Liverpool’s Simon Mignolet – live up to the heights of their forerunners? Here Ladbrokes News lists the top five Premier League goalkeepers of all time. Evergreen US stopper Friedel is a mainstay of the Premier League having played more than 570 games in England. The American’s biggest strength is his fitness, with the now-Spurs keeper once starting 310 consecutive games between 2004 and 2012! A total of 132 Premier League clean sheets sees Big Bad Brad named at number five. The Dutchman featured 154 times for Fulham before going on to bigger and better things at United, where he played 266 times. His Intertoto cup win for the Cottagers was eclipsed by four Premier League titles, two League Cups a Champions League and a Fifa World Club Cup. Eclipses Friedel with 134 clean sheets but it is 14 of which that are of particular note, coming consecutively between November 2008 and February 2009 to set a new Premier League record! The Blues stopper and three-time Premier League winner would perhaps have featured higher up the list but for the head injury that altered his career path forever. Still a fine keeper on his day the Czech Republic star is unlikely to add many more clean sheets to his 161 – 10 of which came in one dazzling run – with Courtois being assured a starting place this term. True, Seaman has fewer clean sheets than Cech (142) and fewer Premier League title wins (two) but his ability to command one of the best defences in league history sees him edge the Chelsea man. The Arsenal back four was rarely beaten but on the odd occasion they were the Gunners could rely on Seaman to pull off a wonder save to get them out of trouble. 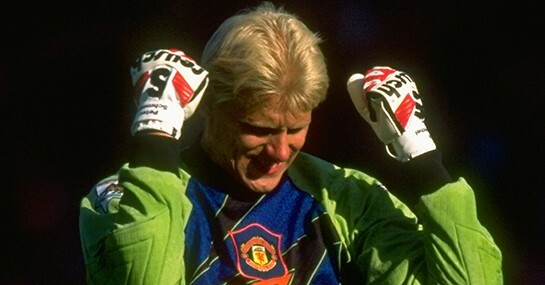 At 129 Schmeichel has the fewest number of clean sheets on the list but that doesn’t stop pretty much all football fans hailing him the best ever. This is down to his all-action displays which often saw him pulling off saves no human should be capable of achieving. The Great Dane also had a knack for scoring goals, netting three times in his career, including a Premier League strike for Villa. His five Premier League titles make him the most decorated keeper in the league’s history and with Cech fading out and Van der Sar retired it could be some time before the record is bettered.